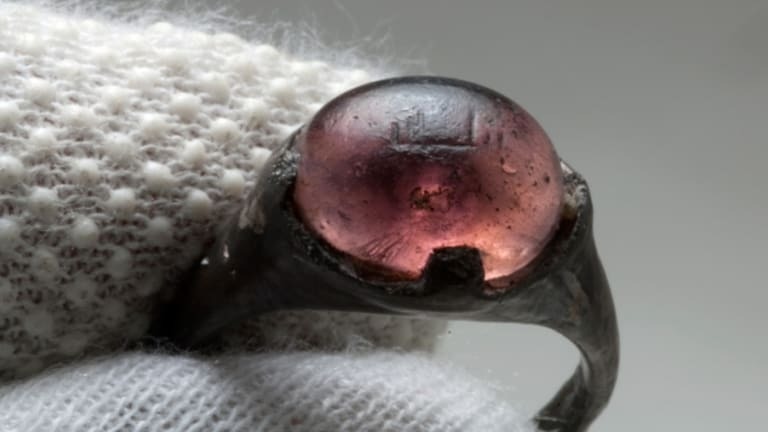 Discovered more than a century ago in a Swedish grave, a ring bearing an Arabic inscription confirms contact between the Vikings and the Islamic world. From A.D. 800 to the 11th century, the Vikings roamed the world’s seas, covering greater distances than any sailors before them. Leif Eriksson, son of Erik the Red, is thought to have led the first European expedition westward to the North American continent, nearly five centuries before Christopher Columbus arrived in the Bahamas. There is plenty of written evidence suggesting that Vikings also made contact with the early Muslim world, traveling as far as Constantinople and even Baghdad. While in Western Europe they became known as fearsome warriors bent on looting and pillaging wherever they went, the Vikings interacted with the Arab region mostly as merchants and traders, offering goods such as honey and fur in return for the silver they prized so highly. Because written accounts of Viking contact with the Muslim world were usually accompanied by references to such “giants and dragons,” however, there could be some doubt they were entirely truthful. 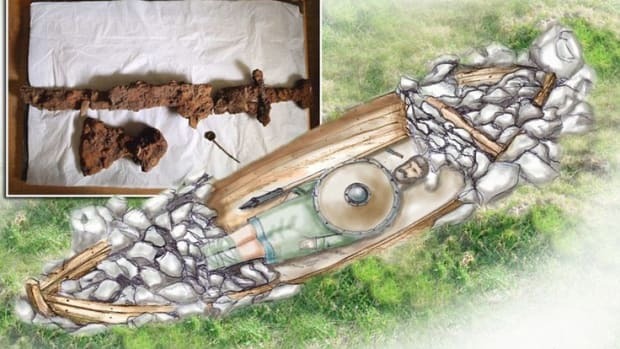 The ring found in the 9th-century Viking grave in Birka provides rare physical evidence of this contact between two ancient worlds. 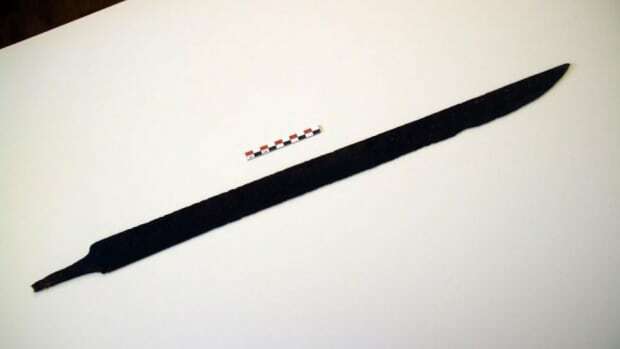 In an article published this week in the journal Scanning, researchers confirmed it is the only ring with an Arabic inscription ever found at a Scandinavian archaeological site. Birka, located some 19 miles (30 km) from Stockholm on the island of Björkö, was a center for trade in the Viking Age and was preserved as a UNESCO World Heritage Site in 1993. The inscription, written in the Kufic Arabic script that was common between the 8th and 10th centuries, reads “il-la-la,” which the research team translated as “for/to Allah.” The ring was originally catalogued as gilded silver and amethyst, but when the researchers (led by Stockholm University biophysicist Sebastian Wärmländer) examined its composition more closely using a scanning electron microscope, they found it was actually made of silver alloy and colored glass. 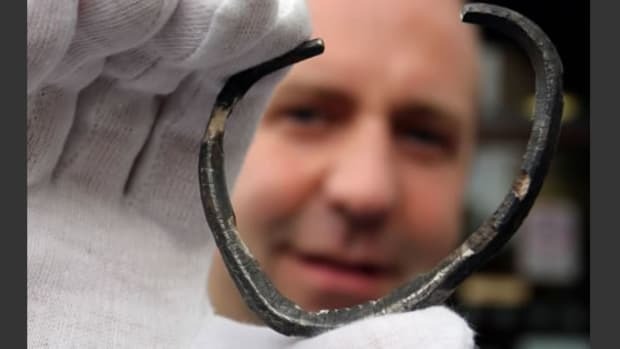 The researchers caution that though a ring made with such less expensive materials today might be dismissed as a cheap “fake,” this would not necessarily have been the case in the Viking world. People in the Middle East and North Africa had been producing glass for thousands of years by that time, but it would have still been an exotic material in ancient Scandinavia. Their analysis of the ring also showed no trace of gold on its surface, but did show file marks presumably made when the ring was cast. 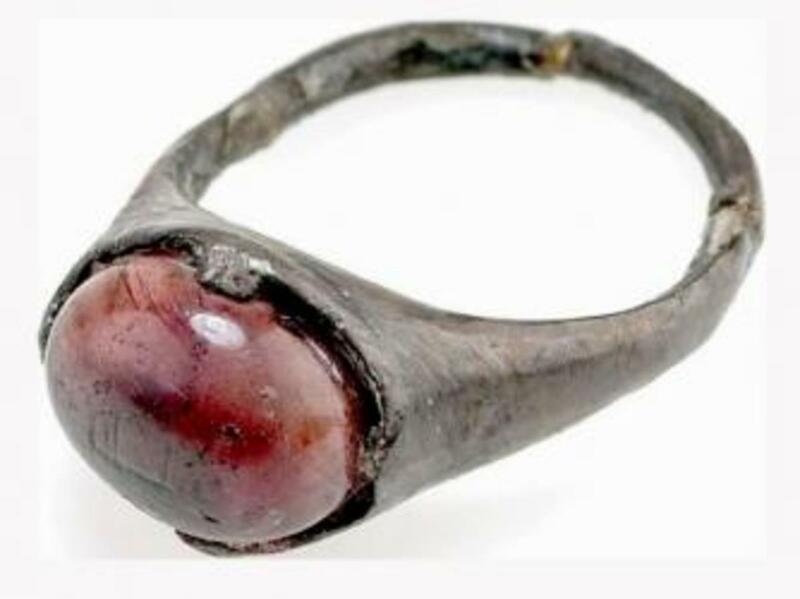 As the surface displayed no wear, and the original file marks can still be seen, the researchers concluded that the ring probably passed from an Arab silversmith to the woman in the grave with very few owners in between. They compared its condition favorably with that of imported coins (mostly from Afghanistan) also found in the grave, which were “worn and torn” from passing through so many hands. Because of this, the researchers speculate that the woman, or someone close to her, might have visited or even originated from the Caliphate, the Muslim empire that at the time dominated the Middle East and North Africa. 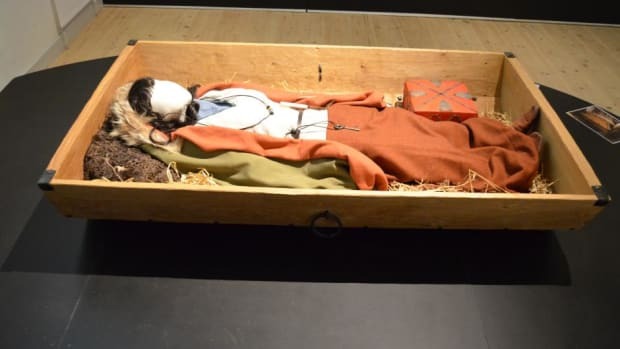 Though the woman in the grave was attired in traditional Scandinavian clothing, the decomposed state of her bones makes it impossible to determine her ethnicity, the researchers say. In the end, we may never know exactly how the woman and her ring fit into the story of how Vikings interacted with the Muslim world–but its presence in her grave confirms that they definitely did. 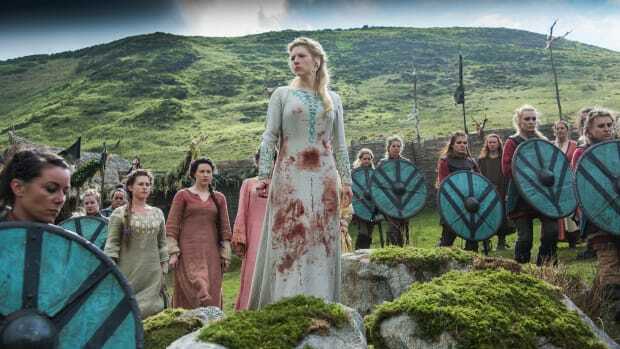 What Was Life Like for Women in the Viking Age? 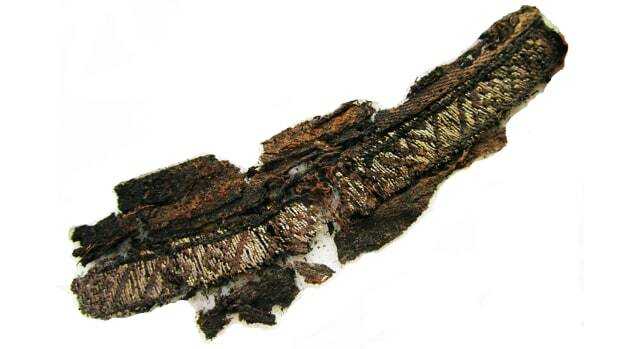 Why Are These Viking Burial Clothes Inscribed with Arabic Script?